Here's another quiz to try. One of our students, Alex works as a mermaid. 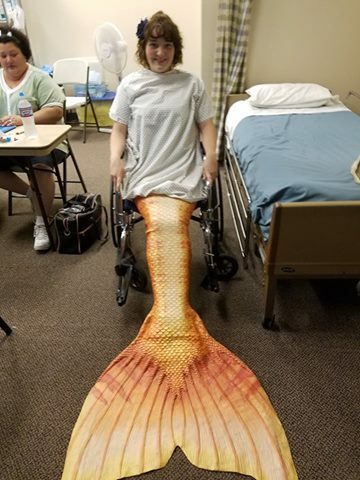 She brought her tail in and we had fun trying to figure out how you would care for a mermaid in need of healthcare. We were left with more questions than answers. How would you change a mermaids brief? How would you position a mermaids catheter? 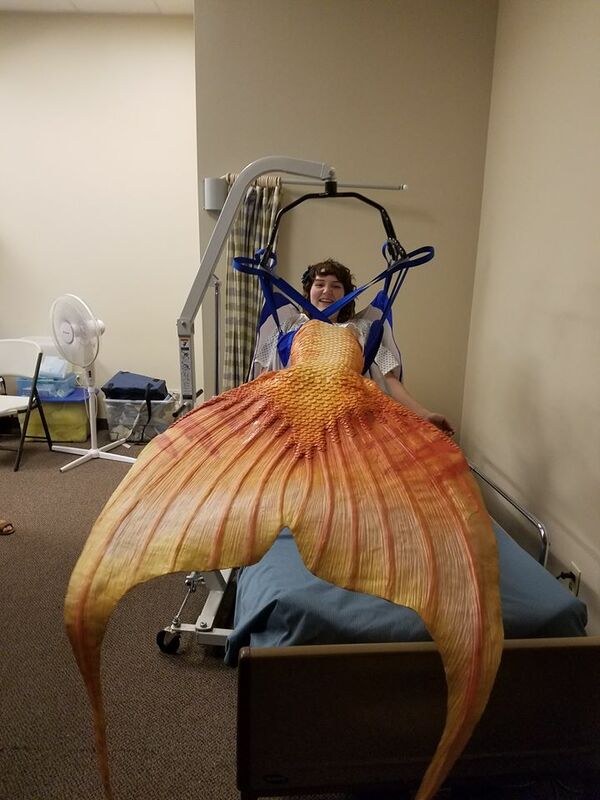 How do you do pericare on a mermaid? How do you assist a mermaid with ambulation? How do you do ROM on a mermaid? The UNAR handbook will be changing in January 2017 this will change some of the skills students will be tested on. UTAH NURSING ASSISTANT REGISTRY 550 East 300 South Kaysville, Utah 84037 Phone: (801) 547-9947 website: utahcna.com Expired CNA policy change update August 18, 2016 Nursing assistants with expired certificates may recertify for up to 1 year after expiration as follows:  6 months or less they can submit their renewal application that includes the signature of a licensed nurse who has verified that they have worked a minimum of 200 hours along with a $10 late fee for each month late.  6 to 12 months they can recertify by passing both the written and skills state certification exams on the first attempt. They have up to 3 attempts to pass in the 12 month period. * *This change allowing for up to 3 attempts to pass conflicts with current Utah Administrative Code and therefore cannot be put into practice. Expired CNA’s are currently given only 1 attempt to bass both the written and skills exams. I just wanted to say thank you for the excellent training I received in June during the CNA class! I had no trouble passing the state certification tests (I got a 94% on the written). Also, I remember asking Claudia at the start of class if hospitals would hire CNA's with no prior experience... Apparently, in my case, the answer is yes! I just accepted a position at the University of Utah in Acute Internal Medicine. I was offered the job immediately after my interview and I start full time (3 days a week) on Monday! I'm looking forward to learning on the job while I'm in nursing school. I just thought I would share this with you so if you get other students wondering the same question you can tell them it does happen. Thanks again for a fun class that prepared me to pass the state exam! I'm excited for my new career!